The All Progressives Congress (APC), Oredo Ward I, has suspended former governorship aspirant of the party, General Charles Airhiavbere, over alleged anti-party activities. Airhiavbere, in 2012, contested against Adams Oshiomhole of APC on the platform of the People’s Democratic Party (PDP), and in 2016, he was a governorship aspirant on the platform of APC. His suspension was contained in a statement signed by Chairman of the ward, Felix Ehigiegba and 21 others, yesterday. 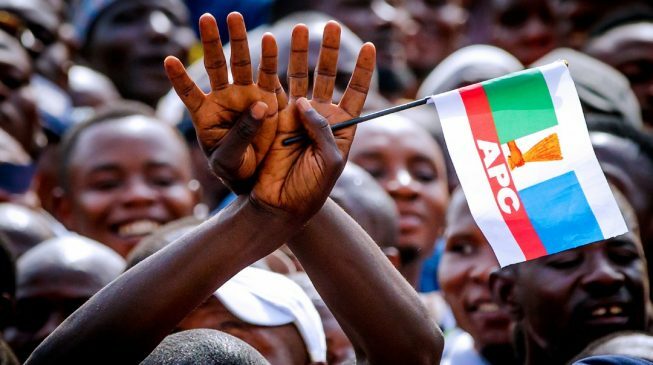 The party alleged that the retired general worked against President Muhammadu Buhari and other candidates of the party in the just concluded presidential and National Assembly elections in the state, and, therefore, described his offence as unpardonable. “We wish to bring to the notice of the party’s hierarchy anti-party acts/actions carried out by one of the APC leaders in Oredo Ward 1, General Charles Airhiavbere, during the last general elections, held on the 23 February, 2019 (presidential and National Assembly). In his reaction, Airhiavbere described the allegations as baseless, adding that the purpose of coming up with such frivolous allegations was to thwart his governorship ambition in the state.